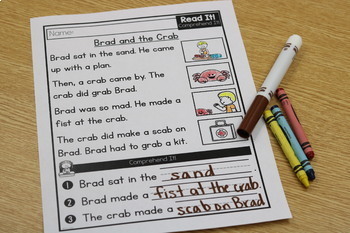 This packet is designed to offer a way for students to practice reading fluency and reading comprehension while practicing blends, digraphs, and blends. 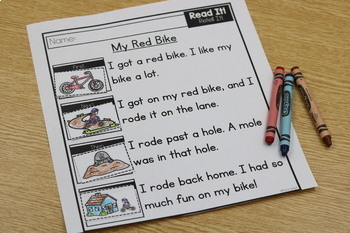 The students will have the opportunity to work on retell and story elements as well. 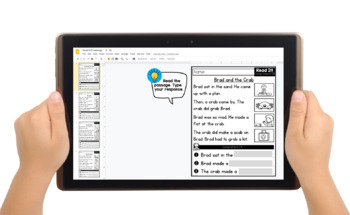 You will be able to use these activities as a supplement to your whole group practice time, guided reading lesson and/or as an independent literacy center option. What is covered in the Read It! packet? What Is in the Cave? **Are you interested in 100 additional passages? 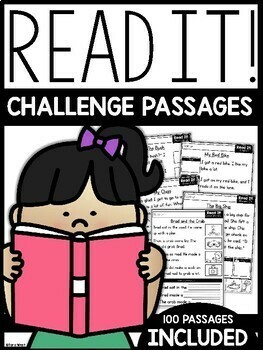 Check out my original Read It packet **HERE** for 100 CVC passages!